Humans create more garbage than is recycled or reused. As a result, landfills are growing in size and number worldwide, many of which are approaching capacity. This presents a significant risk to Earth’s environment as we know it. Though recycling infrastructure and participation have grown around the world, there is still room for growth and improvement, providing both environmental and economic benefits. 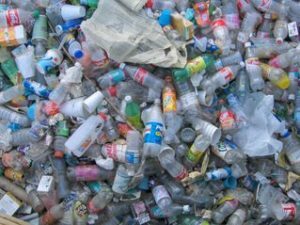 One major challenge of the modern recycling industry is the difficulty in sorting all different types of materials, which limits what can be collected and recycled. Improvements in sorting technology and processes will enhance industrial recycling capability and enable an overall increase in recycling capacity, thus reducing the percentage of garbage deposited in landfills around the world. A firm understanding of classification of matter must be incorporated with measurement and separation techniques to enable improvements in sorting technology and processes. In 1980, approximately 150 million tons of trash was created in the U.S., and less than 10% was recycled. In 2012, more than 250 million tons was generated, but approximately 30% was recycled. As landfills continue to approach capacity, many waste management companies have found it can be profitable to recycle material as well. Unfortunately, this often requires labor-intensive (and expensive) sorting and filtering techniques, meaning smart and efficient filtering designs are in high demand. In the experimental phase of this project, the team members will investigate how different materials (e.g., salt, sand, metal) can be effectively filtered from a heterogeneous mixture. This will require the students to carefully plan and implement a design based upon mechanical and physical separation techniques. Based on the knowledge they gain in the experimental phase, the student teams will then use the engineering design process to design a “real-world” filtering machine to autonomously and efficiently filter the same heterogeneous mixture. The goal of this machine will be to allow the valuable materials to be easily recovered, without excessive loss or contamination. The students will communicate their design by submitting a modified patent application form, containing a well written technical paper and a clear engineering schematic. Browse the Stem Curriculum archive. Grade Level: 9. Content Area: Physical Science, Visual Arts. Industry: Environmental Engineering. Bookmark the permalink.